Kirk Von Hammett - Super Poster Bundle Pack! 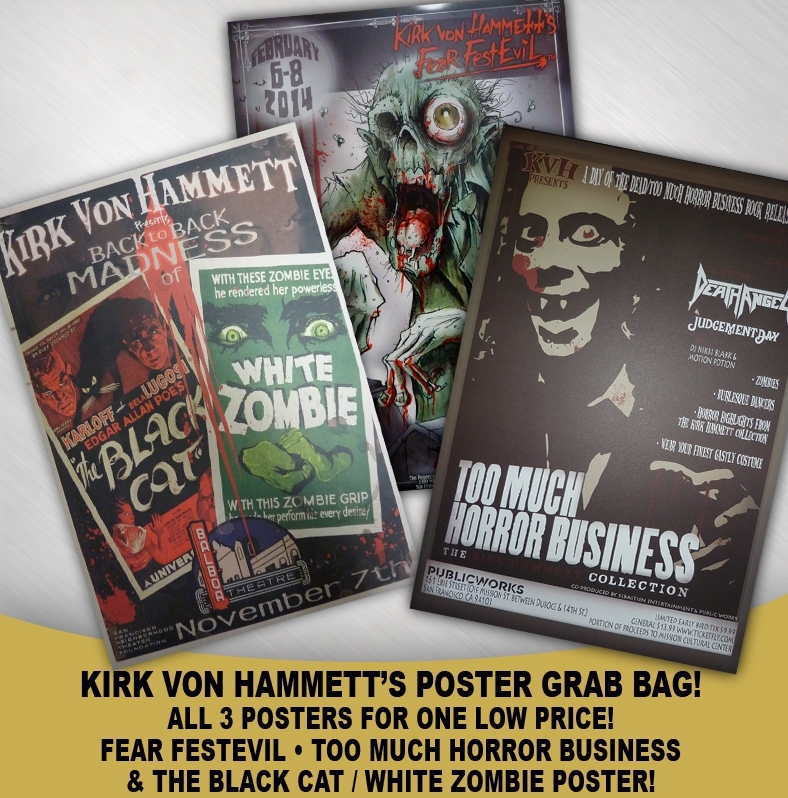 Get all three posters (Black Cat/White Zombie Split • Horror Business Event • Fear FestEvil Event).....ALL FOR ONE LOW PRICE! Limited Time Only....get yours today!